We are pleased to announce that the next Unified Taekwon-Do World Championships will be held in Iguazu Falls, Brazil from August 9th-11th, 2019. After careful consideration Master Jorge Demarchi has been appointed head of the organizing committee that will welcome competitors from around the world. With the support of the local government and the leadership of our Masters and instructors we will meet in one of the world’s most beautiful places to share and enjoy the art of Taekwon-Do. Iguazu Falls is one of the most spectacular tourist destinations in the world and is a UNESCO World Heritage site. The vibrant culture, diversity and accessibility of Brazil make it the perfect location for an international event. We look forward to seeing you all in Brazil! 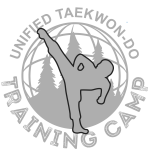 The tournament is open to competitors from any Taekwon-Do organization, however, they must have an individual membership in good standing with Unified Taekwon-Do. 12 years old and under. 10th gup – 1st dan. Girls and boys. 13-17 years old, 10th gup – 3rd dan. Girls and boys. 18-35 years old. 10th gup – 6th dan. Men and women. 36 years old and up. 10th gup – 6th dan. Men and women. Team Size: 3. Tul only. 12 years old and under. 1st dan. Co-ed. Team Size: 3 + 1 alternate. 13-17 years old. 1st – 3rd dan. Girls and boys. Team Size: 5 + 1 alternate. 18-35 / Unrestricted. 1st – 6th dan. Men and women. Team Size: 3 + 1 alternate. 36 years old and up. 1st – 6th dan. Men and women. For more details, please read the World’s Rules & Regulations. The head of each delegation must register through Unified Taekwon-Do Headquarters. Competitor registration will be completed by each head of delegation. Entry fees will be paid in USD by the head of delegation during the registration and weigh-in period. Brazilians have a reputation for being one of the most hospitable in the world, hosting an average of 6 million tourists each year. If you will be flying into nearby airports in Paraguay or Argentina, be aware that they have separate visa requirements. Daily flights connect Iguazu to the major cities of Brazil and South America. Bus transportation will be available for delegations arriving into FOZ DO IGUAÇU INTERNATIONAL AIRPORT (IGU). Alternate airports GUARANI INTERNATIONAL AIRPORT (AGT) in Ciudad de Este, Paraguay and CATARATAS INTERNATIONAL AIRPORT (IGR) in Puerto Iguazu, Argentina are each about 34 km from Iguazu Falls, Brazil. Room blocks and special rates have been arranged with designated local hotels. All of the hotels have multi-lingual staff and are centrally located to the competition venue, shopping, restaurants and other conveniences. Delegations staying at these hotels will be provided transportation to and from the tournament venue during the competition. Heads of delegations who are registered with Unified Taekwon-Do will receive hotel details and reservation information. Payment, cancellations and all other arrangements will be made directly between each delegation and the hotel management. There are several other hotels in the area that cater to tourists and delegations are welcome to make arrangements best suited for their group.